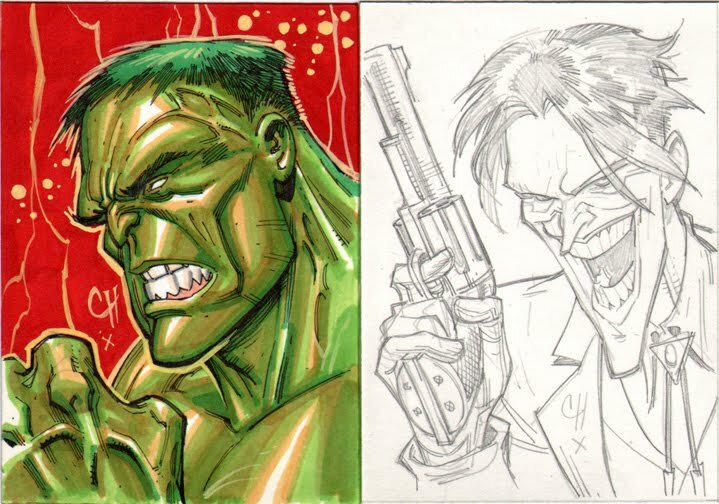 Hulk and Joker for some friends in St. George Utah who got jilted last FCBD. Enjoy! The "X" in the signature is for the year 2010. Gah! The detail on that Joker is incredible, man. Love it.